A bit late, huh!? Well, there’s no time better than present, so here were the things I most loved during the month of March! 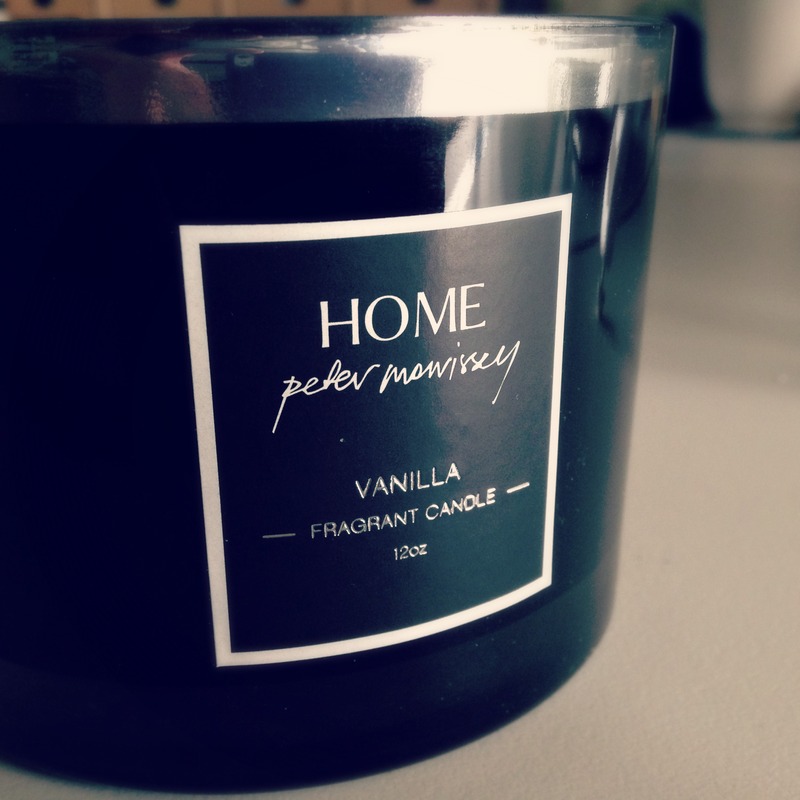 I love a good homey vanilla scent candle! They fill the house with a lazy comforting aroma that makes you feel happy all day! I usually like to burn candles later on in the day and into night as it makes the house cozy and delightful! This particular candle is the first I’ve bought with double wicks. At the time of purchasing I wasn’t sure how quick it would burn through. But now that I’ve had it a while, it seems to burn in the same similar time as a single wick. I’m not too sure what I’ll do with the glass dish once the candle has died. I was thinking of cleaning it out and using as a place to store random knick-knacks. Do you have any other suggestions? Let me know in the comments! I say, ‘what’s a favourites list without a few beauty products? 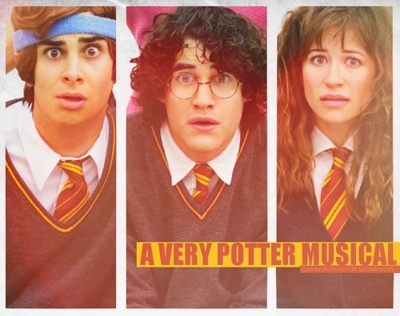 !’ And this one doesn’t disappoint! 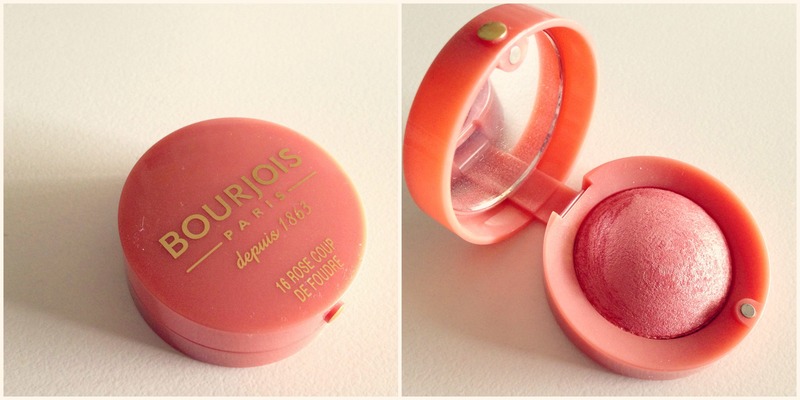 Now to be completely honest and melodramatic, this blush has changed my life! It is so beautiful, petite and lush that I’ve been swooning over it all month! It’s this gorgeous shade of pink/coral that has a delicate shimmer mixed throughout. It’s quite a heavy type covering blush, so only a little on the brush goes a long way! Along with my sweet little blush, I also purchased another Rimmel lipstick. 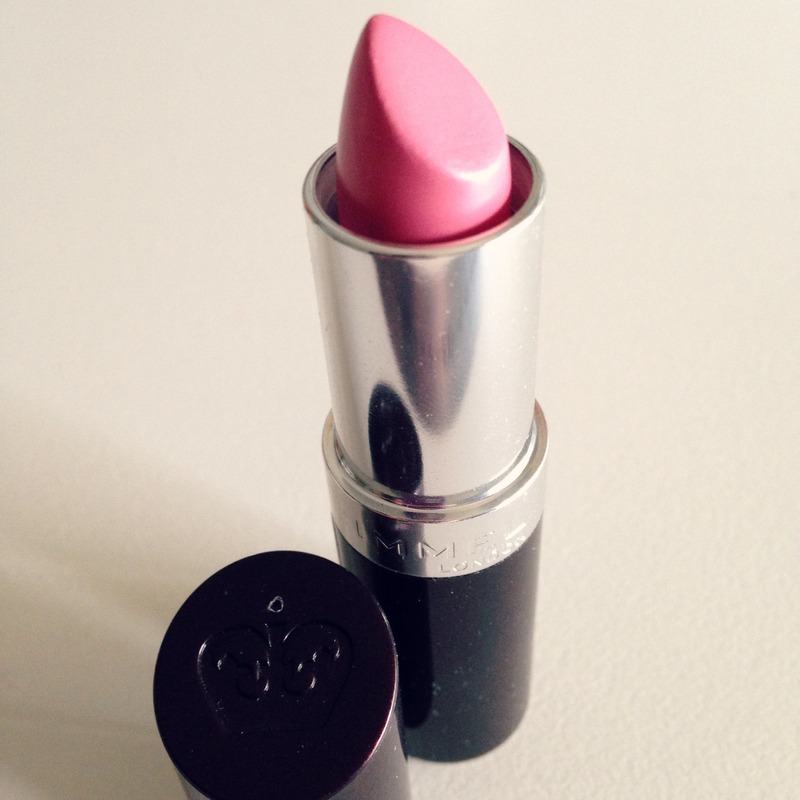 My excuse for buying it was that I didn’t have this shade of pink lippy in my collection. (As one does!) I find that I really like soft pinks like this when I want a makeup day to be really light, casual and minimal. 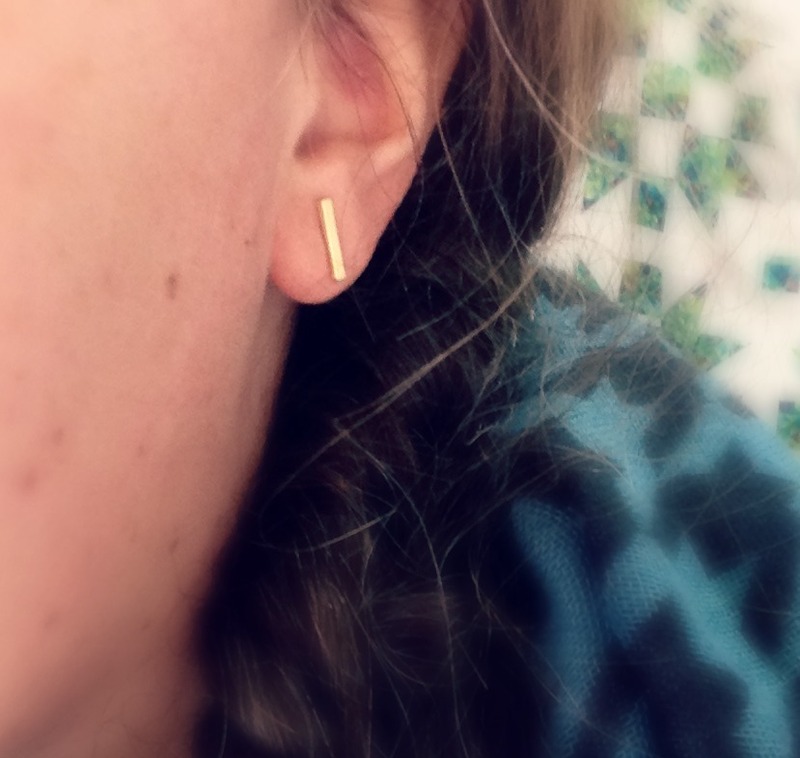 I’ve been looking for a pair of stud earrings like this for a good little while now, so when I was browsing on ASOS, I checked out their jewellery section and found these little beauties! They were super cheap and the exact colour I was wanting! Win! So naturally, I’ve been wearing them all month! Autumn has finally set in in Australia and the nights are getting particularly chilly! So to keep my little piggies (my toes, that is!) 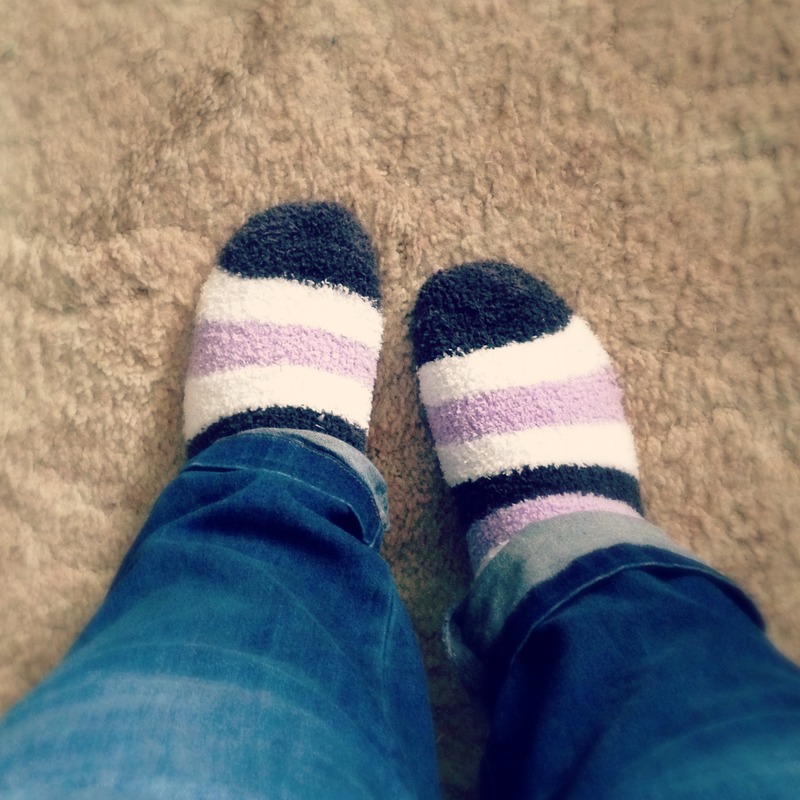 warm, I’ve been snuggling up in these cozy fluffy socks! I find because it’s not quite Ugg Boot weather yet, these socks seem to do the best job at keeping me warm. Their soft, feathery nature makes it feel like I’m walking on clouds! It devine! I’ve had a great month getting lost in some random and fun sewing projects, especially this block pattern by Piece By Number. 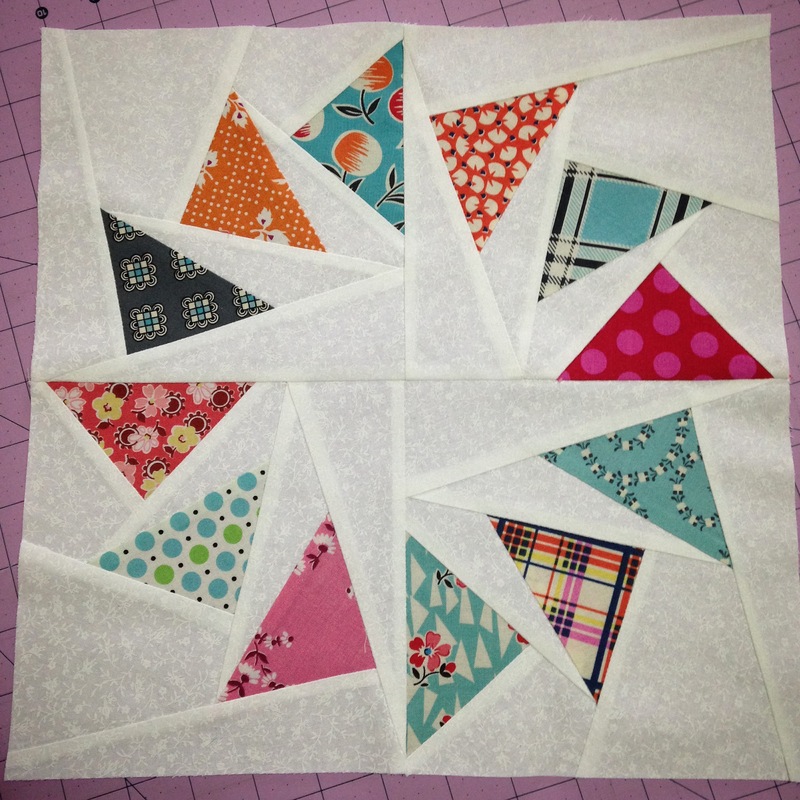 It was a bit strange actually; I had this odd craving to get stuck into some foundation paper-piecing for some reason and remembered this great block I had made when I was doing the Craftsy Block of the Month with Amy Gibson a few years ago. So I printed out the pattern pieces, dug out a few of my favourite DS Quilts fabrics and simply got lost in the sewing process! It was wonderful! So March was Easter. And with Easter comes chocolate and Hot Cross Buns! And man, was I craving them! I’m pretty sure I bought over three packets of buns in as many weeks! And don’t worry, I did share them with my family but even that was pretty hard to do!! The way that I love to eat them is heated to warm, with a good spread of butter and a hot cup of tea! Ooo, heaven! So one month over and another has replaced it! Let me know of any things you’ve loved over the past few weeks! I would love to know! I also uploaded this video chatting all about these favourites! Check it out if you wish! Previous Post‘Quilt-Along-With-Me!’ Part Two: Sashing & Quilt Top Finish Next Post‘Quilt-Along-With-Me!’ Part Three: Backing, Batting & Basting!